Some Goths revel in a post-apocalyptic world of PVC, huge boots, chains and denim. But others prefer a more romantic look of lace and corsets. This look is great for sauntering around ancient ruins, confusing fellow shoppers at the supermarket or standing out at gigs. 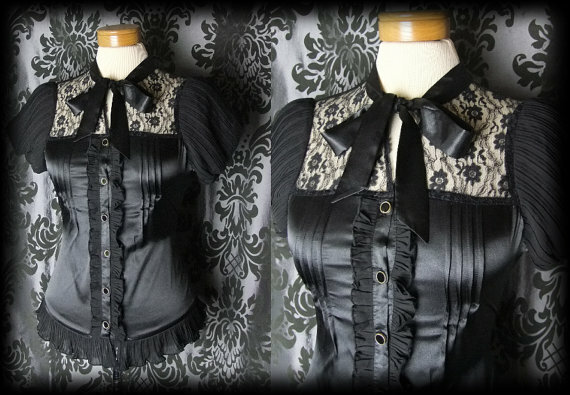 Click these images to find some excellent pieces to put together a great Goth look that is ghostly yet gorgeous.